Have you ever wondered what is it about chocolate and caramel that makes them so irresistible together? I think the flavors and textures just go really well together! 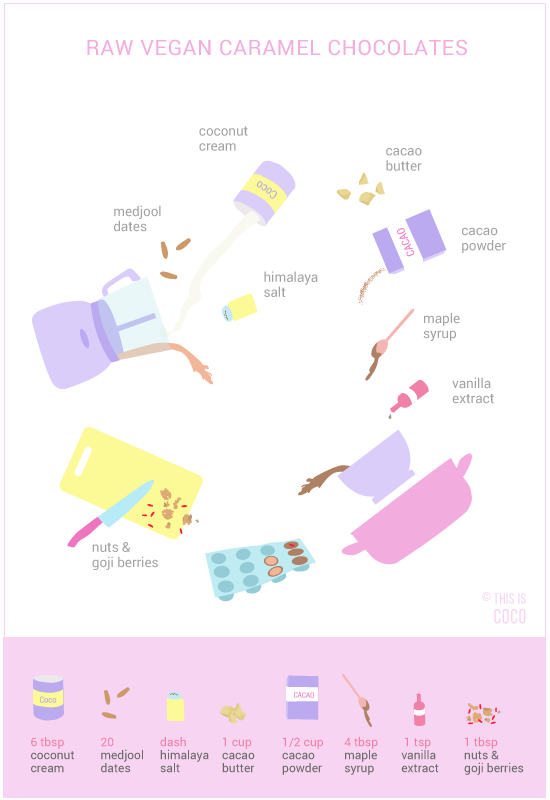 And while many chocolates are packed with sugar, preservatives, chemicals and other unnecessary unhealthy ingredients, you can easily make a healthier variation that tastes just as good. 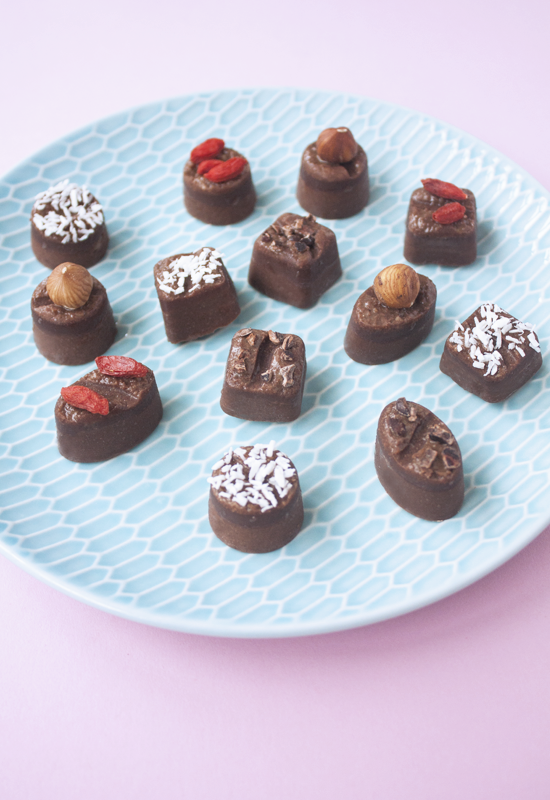 These raw vegan vegan caramel chocolates are a combination of rich chocolate, filled with a soft center of creamy date and coconut cream caramel. They only contain natural ingredients and are full with antioxidants, healthy fats and minerals. You can cover them with nuts and berries or with more chocolate if you like. Chocolate in its pure form is very healthy. It is a rich source of antioxidants and minerals such as iron, manganese, magnesium and copper. I love trying out different flavors from chocolate brands who care about the taste as much as they do about health. Besides that, I try to always have some of my homemade chocolate in the house such as my rainbow bounty bars or raspberry caramel chocolate slices. 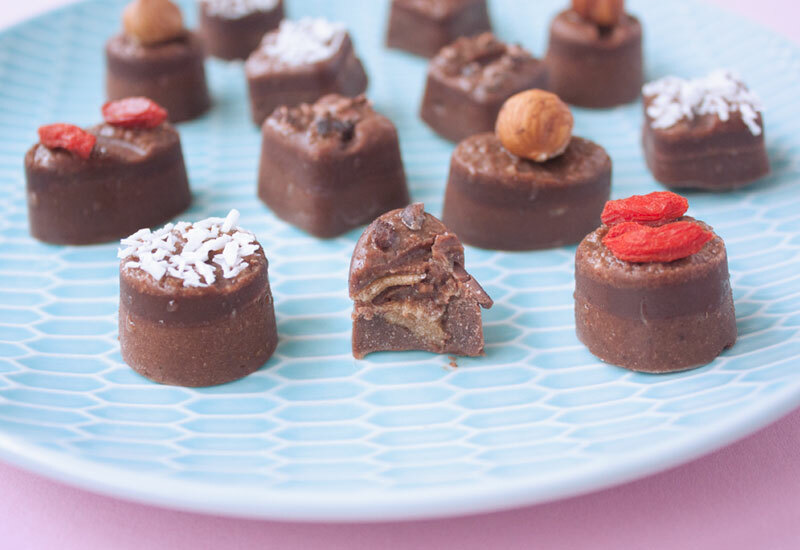 These raw vegan caramel chocolates keep well and make a great treat for when you have guests over or to satisfy your own chocolate cravings. Hazelnuts, shredded coconut, goji berries and cacao nibs. Pit the dates and put them in a mixing bowl that is big enough to combine with the coconut cream. I use medjool dates which have the richest flavor and are soft and moist. Other dates can work as well, but you need to soak them in water for a few hours to soften them. Do this in a bowl with room temperature water, just enough to cover the dates. Afterwards you take out the dates and keep the water as a sweetener for a different recipe. To get the creamiest coconut cream, I put an unopened can with coconut cream in the fridge and leave it there overnight. The cold separates the thick, cream part from the coconut water in the bottom. Scoop out the cream and add it to the dates. 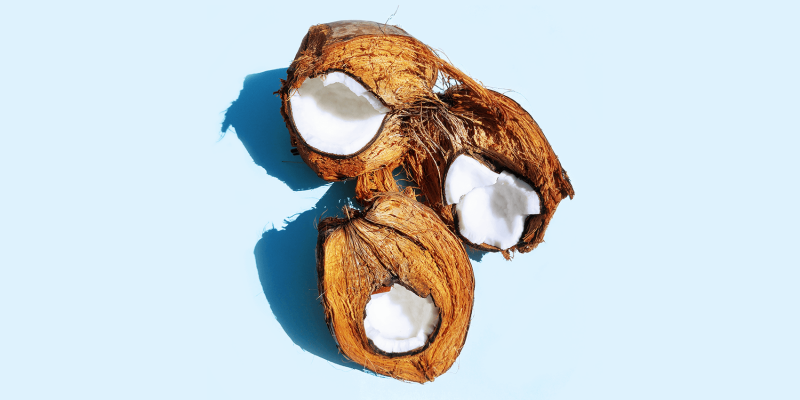 You can save the coconut water to add to a smoothie. Mix the dates and coconut cream in a food processor until you get an equally blended cream. Put it in the fridge. Melt the cacao butter au bain marie or in a double boiler. Add the cacao powder, maple syrup, vanilla extract and salt. Take a clean silicone mold for bonbons and cover it with a thin layer of the liquid chocolate. Put it in the fridge to set. Remove the chocolate mold from the fridge and add a small amount of caramel in the middle of each chocolate. You want it to be right in the middle, so that it will be completely covered by the next layer of chocolate. The easiest way to do this is with a squeeze bottle. Cover with chocolate and put them in the fridge to set for a few hours. Leave aside 1 tbsp liquid chocolate (you will have to melt it again) to attach the toppings later. You can now remove the chocolates from the mold. Cover the top of each one with a bit of liquid chocolate and dip them in goji berries, nuts, shredded coconut etc. Store your raw vegan caramel chocolates in the fridge or freezer.